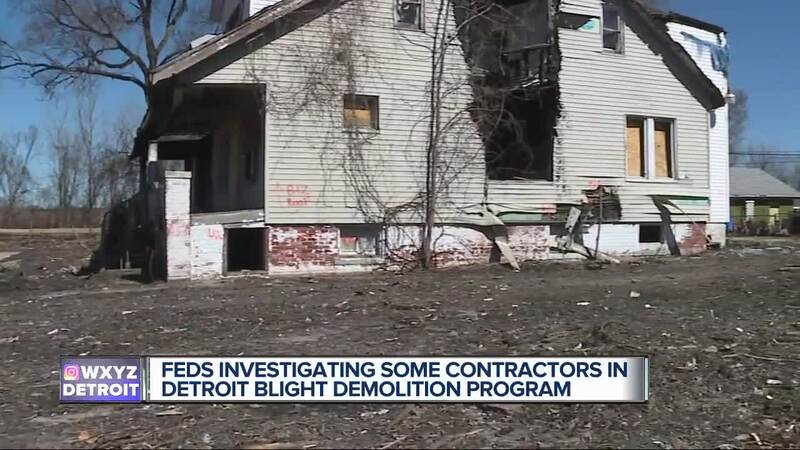 There are major new developments in the federal investigation into the Detroit demolition program. City officials are confirming the feds are deeper into their investigation. Two contractors have been suspended and one has been kicked out after they were found to violate their contract by leaving debris on demolition sites. Then there is McDonagh Demolition based in Chicago. McDonagh Demolition and the Detroit Land Bank Authority (DLBA) today reached an agreement enabling work to move forward on the City’s demolition program. From the very onset McDonagh Demolition has been committed to providing Detroit with safe and responsible services. We thank officials for working with us to reach an amicable solution based on facts, not the deliberate actions of individuals acting on their own to deceive. We can now complete our work on sites in the demolition program and help return more neighborhoods to the people. When McDonagh became aware of alleged issues related to a limited number of McDonagh work sites within the Detroit program, the company launched an internal investigation with the assistance of outside legal counsel. The findings uncovered evidence that individuals acted on their own, without the knowledge, authorization or consent of McDonagh ownership or management. We’ve always been committed to making things right, and if any remediation work is required, it will be done at our expense. PREVIOUS STORY: There are major new developments in the federal investigation into the Detroit demolition program. City officials are confirming the feds are deeper into their investigation. Two contractors have been suspended and one has been kicked out after they were found to violate their contract by leaving debris on demolition sites. Then there is McDonagh Demolition based in Chicago. Farkas says McDonagh had completed 90 sites and had 700 more to go for a price tag of $17 million. However, payments have been stopped. When we became aware of alleged issues related to a limited number of McDonagh work sites within the Detroit program, we launched an internal investigation with the assistance of outside legal counsel. The findings uncovered evidence that individuals acted on their own, without the knowledge, authorization or consent of McDonagh ownership or management. The evidence uncovered in no way reflects the integrity, values and operating practices of our company. Detroit also plans to hire a contractor to use radar to look into the sites and back-filled dirt to see if debris was left behind. If any images show up on the radar, they’ll dig down to see what it is. “The expert we have is very confident he’ll be able to tell if there’s hard fill left in the hole or not,” Farkas said.